Well hello to you my reader chums! 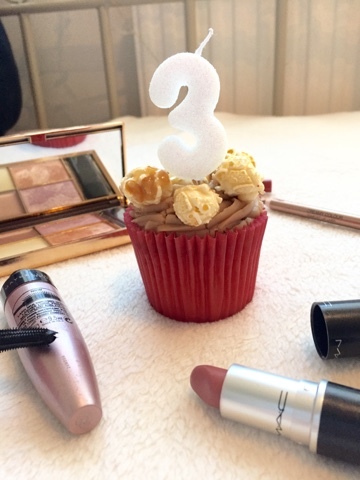 Today is a very special day on my blog as it's 'Della Loves Nutella's 3rd birthday! 3 years ago today, I took the plunge and created my own little space on the Internet, which in turn has been one of the best decisions I've ever made. Through the course of these three years, this blog has grown with me. I've used it as a diary, writing about holidays, adventures, special moments, a place to discuss all my favourite beauty items and even an area where I've shared some of my personal issues- in a sense it's been a form of therapy for me. Writing is something that makes me extremely happy; this blog has become an escape, a hobby I adore and I couldn't be more glad I'm still posting to this day. 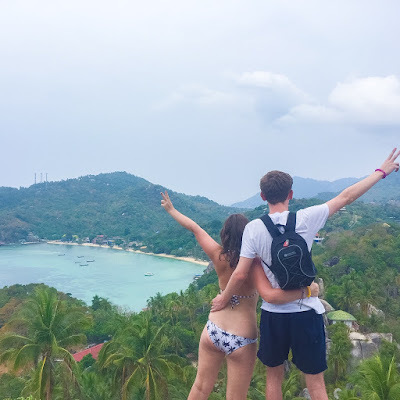 When I began I was only 16 years old, with no clue whatsoever on how to run a blog, what to write about or where I would be in the future; a shy, insecure teenager. Now, I've grown into a happy young woman, confident in my body, my looks and growing in happiness everyday. I'm lucky enough to be surrounded by the most loving friends, family and to have experienced countless exciting memories with even more to come. I want to take this moment to say a big thank you - whether you were with me from day one and are still reading today ( I know the odd few) or are a newcomer to my blog; thank you for the endless loving comments and adoring support. The beauty blogging community as a whole is incredibly heart warming, constantly advising or sending sweet messages on various social platforms especially Twitter. Blogger chats on there are one of my favourite things to join in with as everyone is so welcoming and we can share our love of beauty, together! Since I've hit such a milestone, reaching the 3 year mark, I thought I would do a giveaway as a gift of gratitude. What better item to giveaway than a Mac lipstick - I'm utterly obsessed with lip products so I thought it was only right to give away a Mac lipstick of your choice! I hope you enjoyed this anniversary post - good luck with the giveaway! What's your favourite hobby? Congratulations and Happy 3rd blog aniversary. I love reading blogs and books. HAPPY THIRD BIRTHDAY! Im new to your blog, but its so adorable :) Hope you enjoyed the cake lol. Congratulations!! I'm so happy for you and I can't wait to continually see and read all your posts in the future! Great giveaway! 3 years wow Della! That is fantastic hun, congratulations! Really happy for you. What an amazing achievement Happy anniversary :) I hope I am still blogging in years to come!